Advertise your business on every page of Horley Online and be seen by thousands of people in the Horley and Gatwick area. Click here for more info. This is where you add your business to the directory. 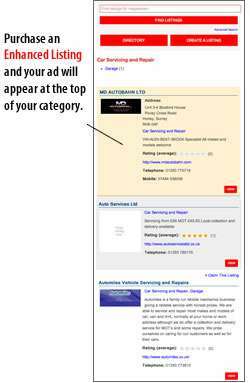 If you want your business to appear at the top of your category choose an Enhanced Listing. It costs just £25 per year.